I actually can’t remember if Efrat has actually come before, but I think she did once. It’s also been a long time since either Haim G or Eszter graced us. I forgot to write the scores down, but something like that. First plays for Nadine S, Lorenzo, and Haim G.
First plays for all but Gili, I think. Unsurprisingly, Nadine S won again, with two 24 WV works on the last round. First plays for Efrat and Eszter. With explanation, the game took around 3 hours. I realized by the middle of round 3 that I was doomed. The score above actually took me by surprise, and I expect it is because I made a mistake in an upgrade or counting points. I think I should have scored lowed. On the other hand, I was 3 deliveries ahead of everyone else, so the 40 points I was shy on the board and with goods I guess is nearly made up by the deliveries which are worth 12 to 20 points. I had the extra delivery slot, Nadine S took the extra first settlement and 2 shipping upgrades, Efrat had the reduced cost on river deltas, and Nadine took the whiskey money. I only really made use of mine on the first and last rounds. Nadine made money hand over fist and easily dominated the board, but I guess somehow didn’t concentrate on deliveries enough. Efrat also had good board spread and Eszter wasn’t far behind. I didn’t bother fighting them for it, which saved me some effort. Nadine: I tried for more deliveries but wasn’t able to – partly because everyone else managed to select contracts before I did. And I was mainly producing whiskey, which I used for contracts so I couldn’t sell them for money. I also spent extra money buying things, rather than investing in producing them, which made me perpetually cash shy. But I still came close. Eszter miscalculated on the last round, which is why she is a little further behind (she couldn’t make her last delivery). The game is definitely good, but it is rather fiddly, especially since money is tight and there are many options, so you keep forgetting which one you decided on and then need to take it back so you can have the money for what you really intended to do. Maybe a loan mechanic would help. But there are already a few too many mechanics (round bonuses, $1 when counters cross 5 points, and harbors come to mind). Frankly, one of the main mechanics doesn’t make sense to me: very fiddly and unthematic. Why give points for number of settlements in a group instead of number of hexes in the group? Hexes would seem to make more sense. You are still encouraged to spread out in order to get the neighboring production/market bonuses. First play for Haim. Nadine writes: We bid pretty low, nothing over 500. David got 3 jesters pretty early. Haim got his on the last round. David had a forest and one building, 7 professions including one recruiter. On the second round, Gili didn’t buy the last available profession of the 8 we allowed. Gili and Haim also skipped it on the next round leaving it for David, a good fit with his 3 jesters. I miscalculated but being able to get a second jester let me play a work I thought I couldn’t play. I thought I didn’t have enough actions to buy another building, but I miscounted and had two unexpected actions. I didn’t have space for the building and didn’t need it by then, so I got two bonuses. Which let me beat David by one point for the best WV at 29 on the last round. First play for everyone except me. But I hadn’t played in a long time, and it turns out I had played several things wrong in every other time that I had played. One, I didn’t know that you can only cap two digs during the game. Two, I didn’t realize that you can only uncover a level if you have as many diggers equal to the level in the same hex. I also might still have the rule about the chief digger incorrect. The correct rules make the treasures even more valuable, since it is harder to get points at the digs. Still, the game played pretty similarly to the way it always had, for me. I got the earliest treasures, and that helped my score, but others caught up. First play for Haim. David had only played it a long time ago. We played this week at Gili’s apt, and her daughter Assif joined us for one game. Yovel lives in Tekoa but doesn’t usually join us. This was his first time, I think. But first I met David early and we played Magic. I thought I drafted BRW, but in the end I played RWu; I had more B than U, but they were nothing special, while the few U I had were nice. I had a U sorcery that exiled any amount of my own creatures (1U each) in exchange for replacing them with 4/4 flyers. I jokingly said that I would play with the RR1 sorcery I had drafted earlier that gave me 3 1/1 goblins, but in the end that was exactly what I did! But first I endured a quick smack-down from David in the first game. He played BG. Turn 3 he cast a 1/1 flyer with lifelink while I couldn’t find more than one mountain or any cards that didn’t have RR in their casting cost. Turn 4 he put 3 +1/+1 counters on it and I died shortly thereafter while he gained life. In the second game he tried something similar (no lifelink) but I had my 4/4 flyers out and he had to defend against me. He jacked up one creature with three spells to 9/10, but I did him some damage and then cast a sorcery that had a creature do damage to itself. We were both down to no creatures, but I was able to build right back up with enough to take him down. David sat out this filler. First play for Yovel and Assif. They both caught on quickly, but Yovel kept taking a few too many cards, letting Nadine stay at 0 for nearly the entire game. At the very end she had to take a 10. She was hoping to build up that card’s suit, but I also needed to do it, so she had to swallow 12 points; still not bad, but Gili managed to end with 4 cards in 2 suits. First play for Yovel. David isn’t a fan of five-player games, but we chose a classic that we don’t play too often, so we all enjoyed it. We played with my change for five players: the professions are pick 2 choose 1, and the last profession card cannot be bought but can be recruited. The intent is to not give player 2 a huge advantage in that she can get two profession cards while everyone else can only get one. But it only works if everyone (or everyone but player 2*) buys a profession card on the first round, which makes that round rather dull. I thought of a possibly better solution: same rules, but add that each player can only buy one profession card during the game. Eh, it might not be necessary. In our game, I got an early cheap Recruiter (200 on turn 1) and Nadine took a 200 Prestige card on turn 1. Jester was 1000, Builder 7 or 800, and Yovel took an expensive forest. David amassed 2 Jesters and 3 Recruiters, which is insane, and explains his win. I had the other 2 Recruiters, 1 Jester, and 3 Forests which I took because it fulfilled the only Prestige card that was even possible that I took in round 4. Nadine also wanted the Forests, but not as much. She had some nice works and two Builders. Gili concentrated on Builders and bonus cards, as well, playing a 34 WV work in round 6. I ended up not being able to play my last work, which took me a long time to figure out in turn 6; this was partly because during rounds 3 to 5 I thought I needed the University for it but it turns out that I needed the Workshop. The writing is not that clear and I wasn’t wearing glasses, but I still should have known it (from the number, etc). 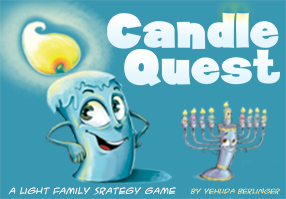 I requested that we play this and taught it to Gili and Yovel, both of whom liked it. We played to 150 (which is currently the official rule for 5 players), which took 7 rounds. Gili started by going to -52. So, technically, she gained more points that I did on the subsequent rounds, with one round alone netting her 62 points (she fought fiercely over the aces, as did Yovel). David was the most in contention with me for most of the game, but he stalled after round 4. Nadine only scored points once, because she often waits too long to decide that she wants to slap. I was at 137 in the penultimate round, so I simply took the first 13+ point batch that I saw. First plays for all but me, third play for me. Nisan went a little crazy buying powerful cards, including two x2 multipliers, but Jonathan rescued him by spending even more. I ended up with the -5, a 4, and a x2, which did me no good. They started playing this but abandoned it to start longer games. First plays for Alan and Binyamin, and Nadine had not played too often. I also hadn’t played in a while, but I suggested strongly that we play this 4 player, which is best (3 and 5 are playable, but not ideal). I also played this, for the very first time, with the correct rule, which is that you can only attack a base of the player whose system you are attacking, and not any base in that system. It certainly speeds the game up, making it hard to get rid of foreign bases (unless you sacrifice a challenge to do so). But it also makes flares and powers that get rid of foreign bases more powerful. We still played with many of my house rules: double powers, losing powers at 2/1 home bases, and others. We didn’t play with reverse cone, lucre, or moons. I strongly discouraged, but did not outlaw, purposely tanking your allies unless a specific card or power was designed for it. It lasted about the right amount of time, and I think both Binyamin and Alan enjoyed it. Nisan writes: First play for Jonathan and Francis. Jonathan and Nisan had bidding war in last auction for a recruiting card. Jonathan went down two points to win the auction with bid of 1700 (Nisan had 1800, but passed and took jester). This allowed Jonathan to recruit from Francis (who’d played 7 works) and Jonathan played two works in the last turn for 37wv. In that last turn he advanced 27 prestige points (6card + 3best work inc) to win. I enjoy teaching that game to first timers and still having all be in competition by end of game. Binyamin didn’t really want to play this at the end, but Nadine and I did and David wouldn’t stick around for anything else. We forced him to play and Alan to learn (though he left after the first two hands). Suffice to say that David and I toasted them. Binyamin started off losing a grand tichu (bid with the Phoenix, an A, and some high cards). Unfortunately, David passed him the dog and I sat after him to repeat the same things that happened last time we played: he had a high card and a low card, and I had the Dragon and many more things. The next hand David made a grand tichu (bid on the Dragon, Phoenix, 2 Aces and other high cards. He passed me the Dragon! The last card he played was the dog, hoping that I could go out second, which I did. Gili hosted in preparation for the three weeks I will be away and to show off her new apt. Over the time I was in Ra’anana, several people have been amassing game collections, including Gili and Eszter. Aaron will be in India for a few weeks, but he and Aaron and some of the others appear to be new regulars, for which I’m happy. First play for Natan, second or third for Aaron. Natan took a commanding lead with activated cards, which made us think he was winning around mid-game. Something stalled for him, however. The payments for points were often hovering at too high a cost and he wasn’t getting much in the way of shipping, city, or game end points. Aaron had some good synergy with red cubes and money, and a good performance in the city, but otherwise not much else to say and two dumped cards. Nadine ended the game with a massive 30 point shipping run, but lost 12 points to unactivated cards. She was in first place on the wall for the last half of the game, except for the two rounds I needed to be first and was. She also had a good city presence. I lagged behind for much of the game, but I was acquiring the goods I needed plus two bonuses for shipping: 1 double for all rice and 1 “plus 1” for all delivered tiles. We were not sure if that meant that I acquired 23 or 26 points for my rice delivery. I had not much to say in the city, but I bought points on most of the later rounds and I had 21 game ending points in cards. We played with my luck equalizer where each round you can spend 1 coin to adjust 1 die +/-1. It definitely helped some, but it’s nowhere near enough. One negative effect of the change is that – maybe – less people bought points than they might have, since many coins went to adjusting the dice. On the other hand, they would have had less activated cards and hence less points, anyway. But the change is simply not enough. The game mechanics – the market, the price of the cards, etc – are all fairly balanced, and there is simply no simple way to change the dice mechanic without breaking it. The game might benefit if the next round’s four cards are all face up – thus allowing you to know what the next round’s market will be and what cubes you might want to aim for this round – but given all of the calculations you already have to do, it would add even more calculations to the game. The sad fact is that the game has too much luck and there is not much to do about it. You simply have to enjoy it for what it is or not get upset when the black die rolls 1s and 2s for 8 rounds in a row. First play for some of them, I don’t know what happened. Thanks to Gili for hosting, and for everyone for coming. Aaron is a first time participant who is an experienced gamer. He made aliyah a while ago but just moved to Jerusalem. Welcome aboard. David arrived early and we drafted. I drafted sucky cards, so the games that followed at the end of the evening were a depressing, foregone conclusion. I mostly drew 1/1’s, 2/1’s, and 1/2’s in both games, and he had a pinger and an Ernham Djinn. David complained the whole game that he was losing very badly, while loudly claiming that I was winning by a large margin. I knew that I wasn’t winning by a large margin, but I was hopeful when I realized in round 4 that I would actually get out all of my works. By round 6, however, I realized that Nadine was too far ahead to catch, even with all of my works. I still hoped that maybe I could overtake her with my prestige card, but she played another work and it was too far. I had 3 jesters and 2 recruiters, which I thought were all I needed, but apparently not. Her buildings server her well. David had no jesters, but he still played five works. Gili had to go back several points to steal the lake I wanted from me, but she really needed it for both prestige cards and to be able to play her last work. She had 15 points in prestige cards. David had 14 points, but that was from 3 cards. I had only one card for 7 points. Aaron’s prestige card didn’t score: he was one square behind Nadine in having the least open squares. Nadine had good synergy with her profession cards, and got to recruit one back. She would have had 4 more points if she had gone back 3 points to get the Prestige card that Aaron took. First play for Aaron. Nadine scored very poorly. Aaron liked the game. It was fun, and we still get creative. I think this is the version they played. Aaron taught the game to Nadine, who appeared to have picked it up well.